Wednesday September 12, 2018-Migori Governor Okoth Obado, who is at the centre of investigations into the kidnapping and eventual murder of Rongo University student Sharon Otieno, has spoken for the first time and revealed chilling details. Speaking during the 8-hour grilling by DCI detectives, Obado denied killing Sharon. Through his lawyer, Cliff Ombeta, Obado maintained he was innocent as he was not involved in Sharon's killing in any way. Ombeta warned Kenyans to be patient and not speculate and let detectives unearth Sharon Otieno’s murder. “Most of all of course he was not involved in this murder and that is why we are asking for patience," Ombeta told journalists. 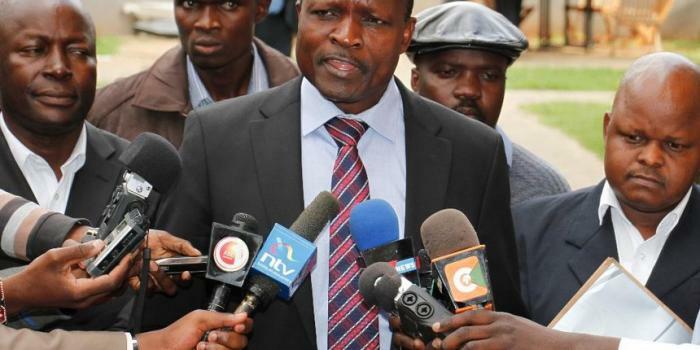 “It has reached a point where people are asking whether Obado would be able to come forward and say something, but he would not come forward to join people who are just making noise in funerals," he added.